"Together, we can do good." You may remember that last March the secondary and pre-secondary schools sector of the worldwide Society of Jesus held a "virtual congress" hosted on Educate Magis. Four themes about our schools and their future were presented; our JSN response was to gather eight educators from around our Network to spend two days praying, thinking, and talking about the presentations. Here was our response in preparation for the Congress next month. The JSN begins its new web site launch this week! Keep in touch with your JSN colleagues. 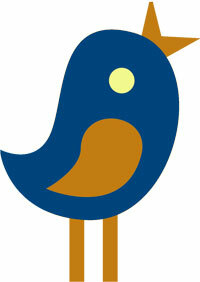 Over 180 conversations have been started and updated since we launched our new online community. 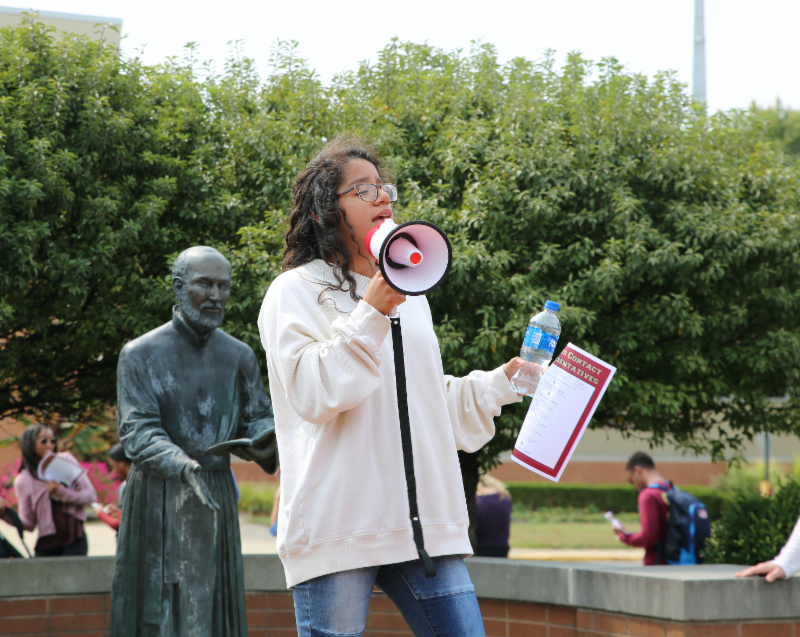 On September 11, Brebeuf Jesuit Preparatory School students organized and held a rally in support of DACA (Deferred Action for Childhood Arrivals). This student-inspired and student-led event brought students together to both create awareness and show their support for Dreamers. De Smet Jesuit High School and St. Louis University High School may be rivals on the football field, but they are brothers in the Jesuit tradition. On September 8, the two schools banded together to raise funds for two more members of their Jesuit school family who were affected by the hurricane in Houston: Cristo Rey Jesuit College Preparatory and Strake Jesuit College Preparatory . A similar story unfolded on the very same day in Denver, where Regis Jesuit High School (pictured) joined forces with football rival Mullen High School to raise money at the gate and at halftime to support hurricane relief efforts through Catholic Charities. 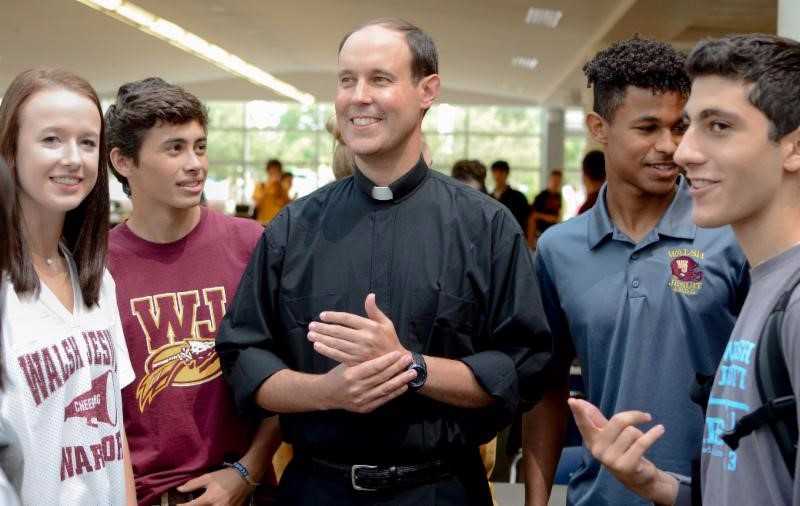 It is a year of new beginnings for Walsh Jesuit High School in Cuyahoga Falls , OH. The school has welcomed a new principal, Mark Carr, S.J. (pictured above), and it has also announced a new four-year program called the Companions Program, which will create symmetry between the school's various mission-based activities and integrate the Profile of the Graduate at Graduation into the lives and experiences of students. Learn more about the Companions Program. 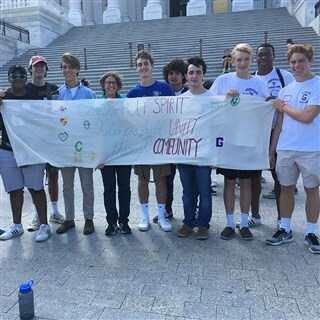 On September 4, fourteen members of the Gonzaga College High School's Peace Club participated in kicking off the ComeUnity Coalition . The ComeUnity Coalition is a justice coalition of Catholic high school students in Washington, DC that was formed after the Charlottesville incident to unite students in nonviolent action to promote peace. In the first event, 40 students chose officers, created solidarity banners for each school and participated in a prayer vigil for unity at the Capitol. 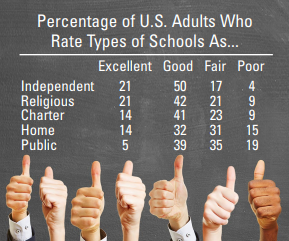 Americans rate private schools significantly higher than other types of schools, according to a Gallup poll conducted early last month and released on August 21. Read more in CAPE Outlook. 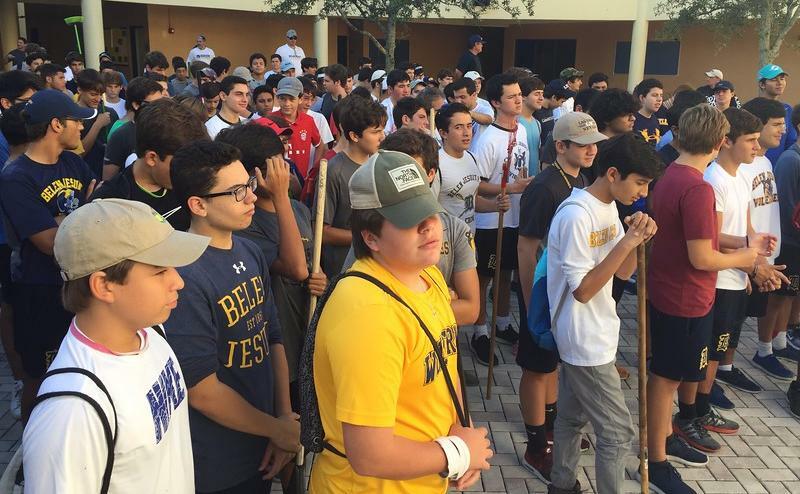 The National Federation for Catholic Youth Ministry (NFCYM) and the National Catholic Educational Association (NCEA) are partnering to pilot a national Ministry Network specifically for Catholic high school campus ministers and religion teachers. 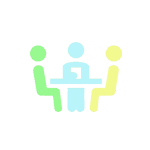 The first national online networking gathering will be held on Monday, September 25 at 7 PM EST to discuss Planning Prayer and Liturgy Events in the Catholic School Setting. For more information or to join the group, please email hscmnetwork@gmail.com . 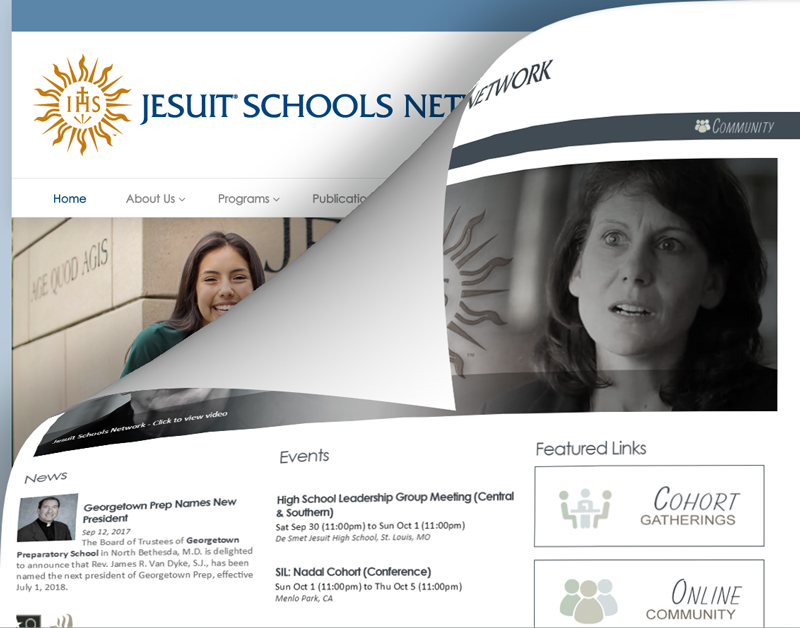 ﻿The Jesuit Schools Network promotes the educational ministry of the Society of Jesus in service to the Catholic Church by strengthening Jesuit schools for the mission of Jesus Christ.